Dorothy directs the Valparaiso Project on the Education and Formation of People in Faith (www.practicingourfaith.org), a Lilly Endowment project based at Valparaiso University that develops resources to help contemporary people live the Christian faith with vitality and integrity in changing times. The Project has sponsored grant programs, seminars, books, conferences, and web sites for adults and youth. Dorothy is the author of Receiving the Day: Christian Practices for Opening the Gift of Time and editor or coeditor of Practicing Our Faith: A Way of Life for a Searching People; Way to Live: Christian Practices for Teens and On Our Way: Christian Practices for Living a Whole Life. Two additional co-edited books explore implications of attention to practices for ministry and theological education: Practicing Theology: Beliefs and Practices in Christian Life and For Life Abundant: Practical Theology, Theological Education, and Christian Ministry. 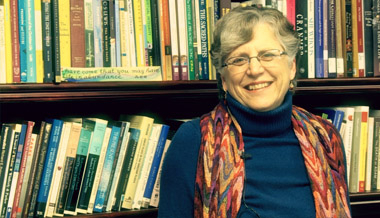 She is a member of the Evangelical Lutheran Church in America and on the Board of Holden Village (Holden Village), a Lutheran retreat center in the North Cascades Mountains. She is the wife of Mark Schwehn, Provost and Professor of Humanities at Valparaiso University, and the mother of three adults. Together, Mark and Dorothy have edited Leading Lives That Matter: What We Should Do and Who We Should Be (Eerdmans, 2006), an anthology of contemporary and classical texts-including fiction, autobiography, and philosophy that offers challenge and insight for those reflecting on what to do with their lives.